Nokia Malaysia today has confirmed what we have been hearing to past week or so – the company’s new Windows Phone 8 devices will finally arrived in Malaysia this month. Both Nokia Lumia 920 and Lumia 820 will be officially available in Malaysia on 21 December, just in time for Christmas. Consumers will be able to pre-order both of them at all Nokia Stores throughout the country starting from tomorrow onwards. Celcom and DiGi will be carrying both Windows Phone 8 devices as well and will be announcing their plans for the devices very soon. 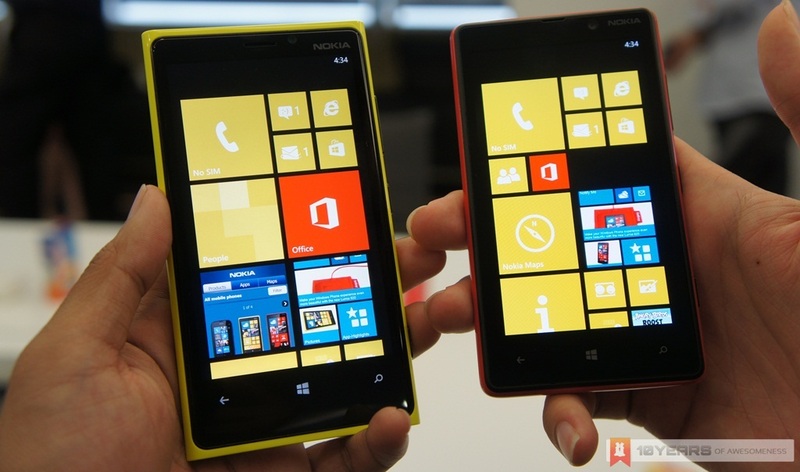 The Nokia Lumia 920 is priced at RM 1,999 while the Lumia 820 is available for RM 1,599. For the meantime, check out our initial hands-on preview with the new Nokia Lumia 920 and Nokia Lumia 820.